James F. Grenen, Creditor Debtor Rights, Grenen & Birsic, P.C. 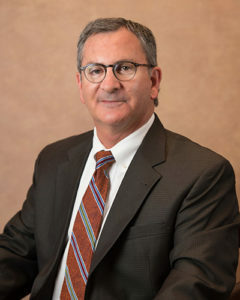 James F. Grenen is a founding member of Grenen & Birsic, P.C. Mr. Grenen brings over 30 years’ experience and business acumen to the firm representing banks, mortgage companies, and businesses. His practice areas include bankruptcy trials and commercial litigation, workouts and creditors’ rights, and consumer foreclosures. For five consecutive years (2013-2018), Jim has been recognized as a Pennsylvania Super Lawyer in the Creditor Debtor Rights practice area. Mr. Grenen has been named by Pittsburgh Magazine as one of Pittsburgh’s “Top Attorneys” for several years. Jim frequently participates as faculty and/or a CLE panel member for various Pennsylvania and Allegheny County Bar Association programs on bankruptcy, creditors’ rights, receiverships, commercial and judgment collections, and Pennsylvania foreclosure and deficiency judgment law.